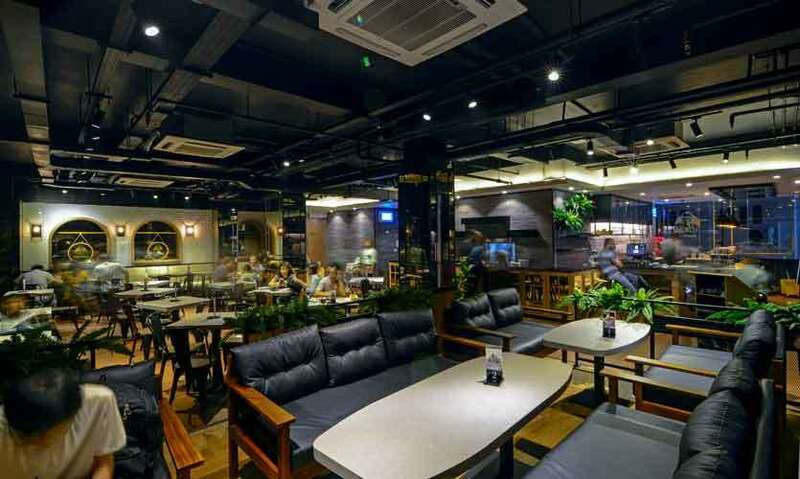 Established in 2005 PappaRich is all about taking Malaysian cuisine around the world. 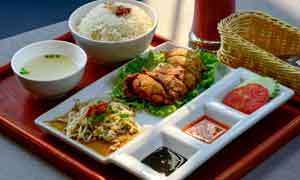 The franchise has restaurants in a number of countries in South East Asia, Australasia, Europe and are now in Sri Lanka. Located at the Parkland Building on Park Street, this should be your go-to option if you want to experience delectable, authentic Malaysian flavours. Malaysian food is all about aroma and colour while the food is prepared with a lot of love and passion and in spite of being a restaurant chain, we were impressed with the overall quality of the food. 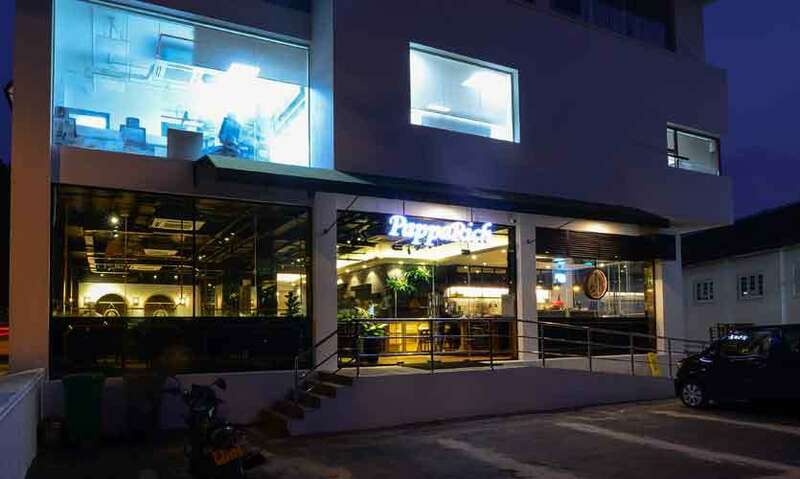 Ambience: Open, relaxed and friendly are the best ways to describe the aura at PapparRich. 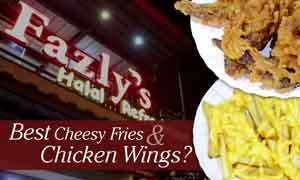 It is definitely a place you can spend hours at with friends or family or both, while the food is impressive. 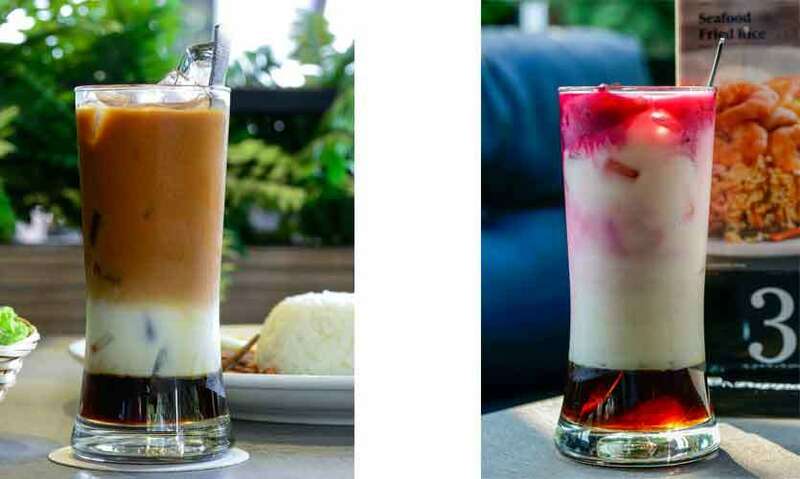 We tried two of their cold drinks namely the 3 Layer Tea (Rs 450) and Syrup Bandung Jelly (Rs 500). They were essentially milk-based drinks and what we loved about them both, were that they weren’t sickly sweet. 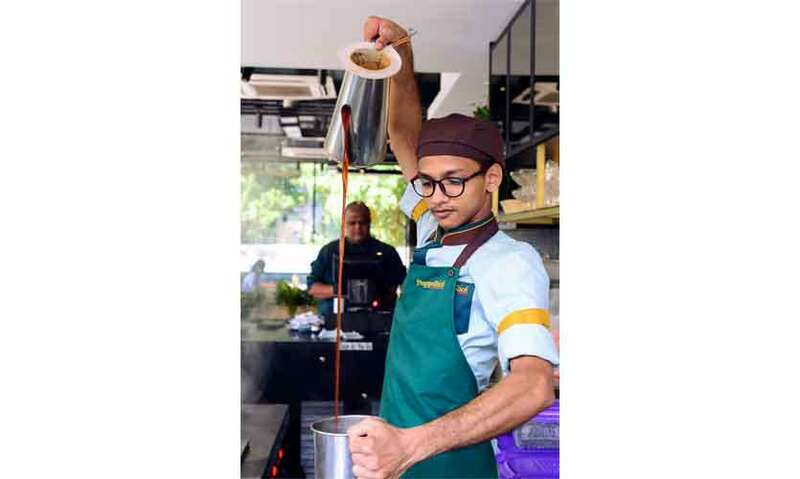 The former has a layer of syrup, milk, strong milk tea and lots of ice cubes, while the latter also has a layer of syrup, milk, a rose flavoured, fruity syrup and jelly – so give them a good stir and slurp away. We felt that these two cold drinks would be ideal even as a dessert. We also had their Hot Tea Tarik (Rs 200), which is pretty much a strong cup of milk tea. 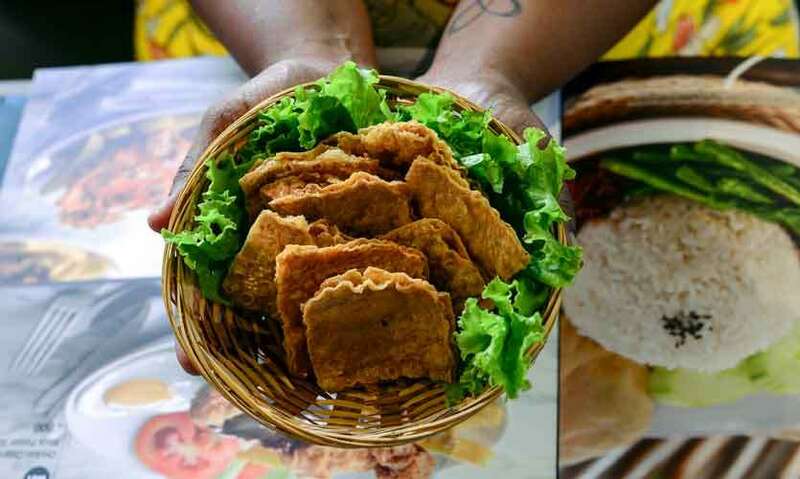 The crunchy, salty Fried Foo Chok (Rs 600) is a must and we would like to warn you that you may not stop nibbling on it! 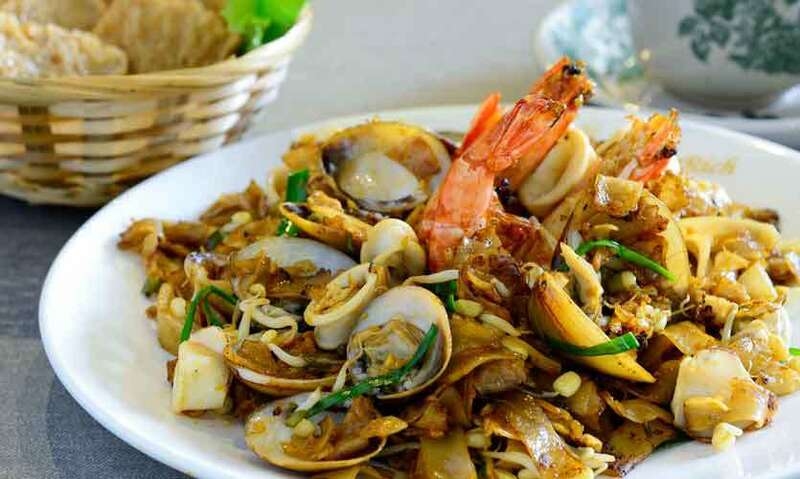 The Seafood Char Kway Teow (Rs 1,100) is a must try if you head to PappaRich. The serving itself is large while the lightly charred seafood and the flat noodle coupled with bits of crunchy beansprouts was just amazing. 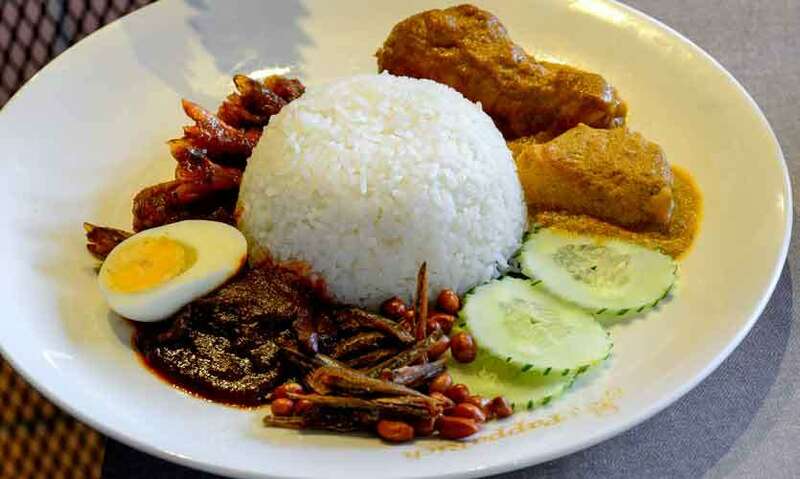 While the classic Nasi Lemak with Curry Chicken and Sambal Prawns (Rs 1,300) created an explosion of sweet and spicy flavours while the crunchy peanuts and anchovies, the sweet coconut milk infused rice and cooling cucumbers made for the perfect lunch-time treat. We also recommend the Hainan Fried Chicken Rice (Rs 900), which was a welcome change from the usual steamed chicken version. 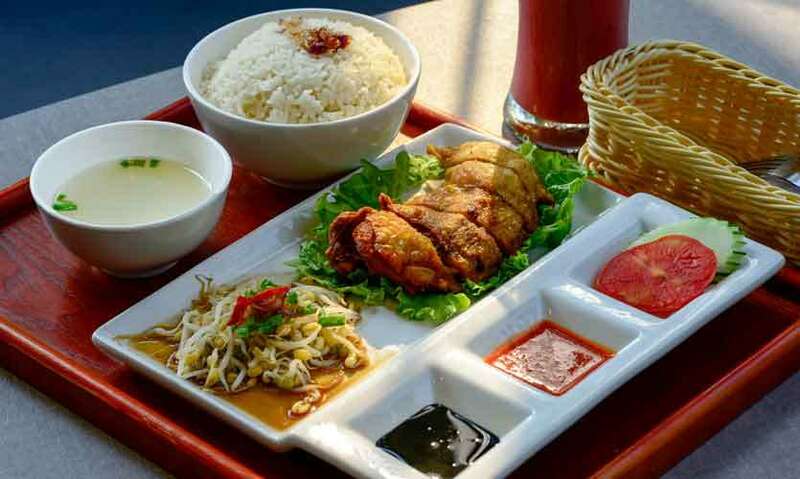 The spicy and sweet sauces, light soup and crunchy chicken make for a filling and delicious meal. The shaved ice based ABC Special with Ice Cream (Rs 550) is probably their go-to dessert. 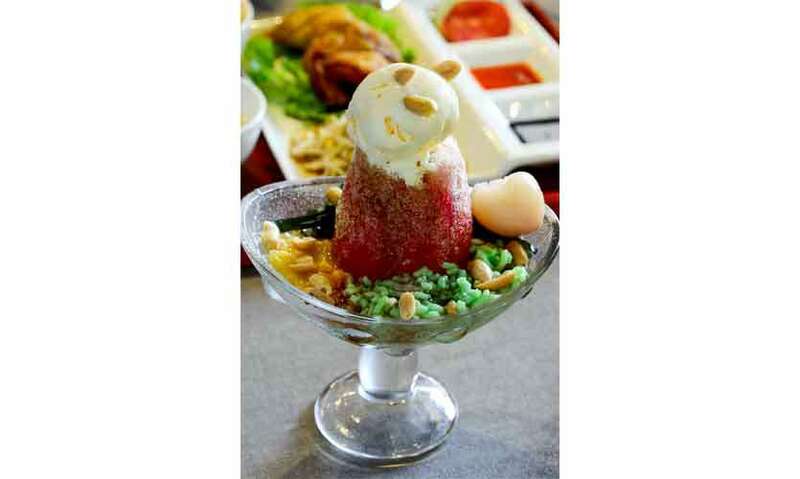 The shaved ice flavoured with syrup is topped with a scoop of vanilla ice cream while the colourful dish consists of sweet corn, peanuts, lychee, custard and jelly. Let it melt ever so slightly and take your time digging in, to really enjoy this funky treat.